Melodic alternative rock reminscent of Foo Fighters and Muse with a little Keane thrown in. Killer riffs, gripping guitars and amazing vocals are what glo is all about. 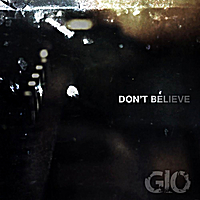 "Don't Believe" takes you on a bass-driven alt rock ride that you don't ever want to get off of.